Durban always makes me think of down time and summer holidays, frangipanis, Indian curry, puri pathas and bunny chow, but also its warm-hearted people – the tropical climate has obviously rubbed off on them, giving them a sunny disposition. 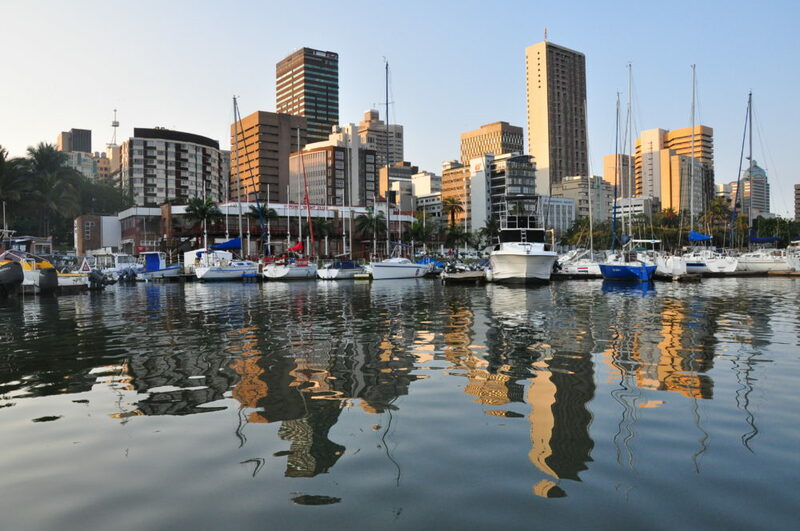 In 2014 CNN named Durban South Africa’s most underrated South African city, while the following year the New York Times placed it on its must-see list. So if you haven’t experienced it in 2016 yet, best you make plans to visit these holidays or in 2017. Our late friend Andy Carrie, who passed away last week, loved Durban best. As a Joburger I could never profess to know and love Durban as Andy did, but I am happy to have seen parts of it through his eyes and in his company. Whenever he witnessed something profound he’d shout at the top of his voice, “WHO EVEN ARE YOU?” I imagine that he did that often while living in Durban. So, here are a few things to see and do in the warmest place to be this summer holiday, with some suggestions from Andy. Have a look at his photos here. KwaZulu-Natal has the largest Indian community outside of the subcontinent, Trevor Noah even joked about it being the factory shop, so it’s no surprise that Durban surely serves the best curry in South Africa. Bunny Chow is king at Gounden’s, which dishes up around a thousand on a busy day. The hollowed out half or quarter loaf of white bread is filled with chicken, beef, lamb or veggie curry according to your chilie tolerance. Note: when Durban Indians mean hot they mean the sweating, eyes-bulging kind of hot, you have been warned. And you can’t leave Durbs without stocking up on a homemade mix of South African curry powder and spices. Over the decades, local Indians have created their own curry mixes that are distinct in taste and can seldom be found outside of the country. Go to the Spice Emporium flagship store in the city centre – if you ask any local they’ll surely point you in the right direction. This family-run store and restaurant is the place to learn more about Durban’s Indian food heritage and history, while watching food demonstrations. They serve Indian snack and street food – pani puri and pao bhaji – which is hard to come by elsewhere. The first time I met Andy Carrie in person was at the Tourism Indaba in 2014. And again the following year. Him and his best friend, Dane Foreman, drove us out-of-towners William Price and Jerome Touze to Republik Burger in Durban north for what he professed to be the best gourmet burger in the city. He reassured us it would be worth the drive. And it was, especially as they have really good veggies options too. When it’s hot it’s best to get an early start. Whenever I overnight in a city during the weekend I try to do the local Park Run. Plus doing a Park Run at sea level always boosts my confidence as I improve my time what with all the oxygen. 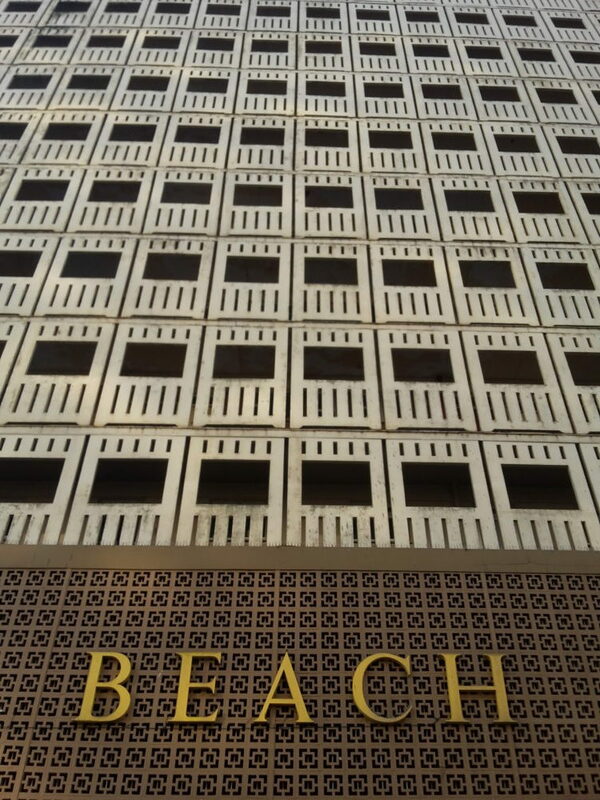 There are three Park Runs around the city, with the North Beach one being the most central. Otherwise make your way to Bike and Bean for your morning coffee and for another way to maximise the sea breeze. Cycle along the palm-fringed promenade that’s dotted with stalls that sell beachwear, toys and handmade curios. Look out for those that sell pineapple wedges sprinkled with masala. One of the most popular stops along the Golden Mile is the Fun World Amusement Park (+27(0)31-332-9776), which also recently received a face lift. It’s easy on the pocket as you only pay for the rides you go on. The aerial cable way is really popular, but my favourite will always be the spinning shells – childhood memories right there. Hop back on the saddle and make your way to Moses Mabhida Stadium, one of the city’s most famous landmarks. There’s much to do for the adventurous and the not so adventurous here. The Sky Car offers panoramic views from 106 metres. You can also make your way to the viewing deck by strapping yourself into a safety harness and climbing 500 stairs on the Adventure Walk. Those seeking an adrenaline rush can take on the world’s tallest swing – the Guinness World Book of Records said so. The Big Rush Big Swing is an 80-metre free fall along the 220-metre arc. And for the chilled there’s a Segway Tour around the perimeter and within the 85 000-seater stadium. Read more about what to do and the upcoming 2022 Commonwealth Games, which the stadium will host, here. Durban Tourism’s freelance tour guides (+27(0)31-322-4173) offer two walking tours through the city. While the tours can be tailor-made and you can choose them based on your interests, the most popular are the oriental and the historical walks. You’ll learn of Mahatma Gandhi’s time in KwaZulu-Natal and explore the city’s various architectural styles, especially examples of Art Deco buildings, of which there are many at this seaside city. You’ll also visit landmarks and places of worship. A highlight, for me, is a visit to the traditional muti market, where you may spy a sangoma stocking up on their supplies from dried medicinal plants and herbs to animal products that are used in traditional medicine. Always ask before taking photos though, as many here do not appreciate the attention. It only takes 20 minutes to drive from Durban’s city centre to Umhlanga, if you’re from Joburg it may take quicker. CNN named the pier, which resembles a whale’s rib cage, the world’s most beautiful. Andy captured it so beautifully at sunrise and sunset. The red-and-white lighthouse too has become synonymous with Umhlanga. Then after sometime on the beach, treat yourself to high tea, dah-ling, at the five-star Oyster Box Hotel. When coming to Durban you have to experience it from the water too. And one of AirBnb’s more interesting listings is the Numzaan yacht. It’s marooned at the Royal Natal Yacht Club at Durban Harbour. Each of the four cabin-bedrooms has a king single size bed, so it can comfortably fit eight people. There’s also two bathrooms, a kitchenette, lounge area and outside bar. The owner can even take you out for a sundowner cruise or a fishing expedition – I’ll have to do that next time! I’d say it’s one of the best spots to watch sunrise. Okay, so where to from here? Did someone say road trip? Durban is the perfect starting point for a road trip, here are 50+ must-see attractions along KwaZulu-Natal’s South Coast. Are you heading to Durban this summer? What will you be getting up to? Please share your plans in the comments below. For more ideas on what to do in the city, visit the Durban Tourism and find flights to the warmest place to be with Cheapflights. This post was written as part of the #CheapflightsExplorers blogathon in partnership with Durban Tourism, Cheapflights and Travel Concept Solution. I retain editorial control over all the content on this website, but you already know that. I’m sorry to hear about your loss! :( I can definitely see why your friend loved Durban. It looks like a very incredible place to visit. Thank you for sharing! So sorry to hear about your dear friend. 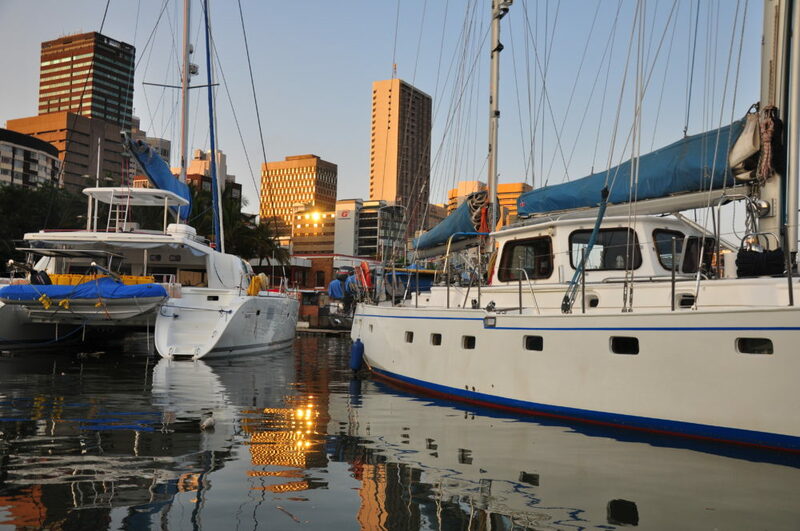 Great list of things to do in Durban. The city is so beautiful, definitely a must visit while in South Africa. Good to know there’s still Indian influence here, Spice Emporium would be a place I wouldn’t want to miss if I happen to visit Durban. Oh I’d love a tailor made walking tour. I love those kinds of things and love when tourism boards provide them because you know you’re getting some great info. What a great place to visit. Yes, exploring a city on foot is the best and most authentic way to do it, you get to see so much more and can interact with the locals too. I´m so sorry to hear about your friend Andy, what an amazingly gifted photographer. I have always loved Durban, my earliest holiday memories consist of being woken up at the crack of dawn by my parents, car fully loaded and ready for a road trip to Durban. I would be so excited, I couldn’t wait to swim in the ocean, eat ice cream and buy tons of bracelets and a dress with tassels from the locals on the pathways to the beach. I LOVE curry, more specifically Durban curry. The hotter the better. Thank you for your condolences, he was very talented at what he did. Firstly sorry to hear about your friend Andy. I checked out his photos they are all amazing. This is great bit of information and photos you’ve shared. Makes me feel like visiting Durban. It would be like coming into a parallel world, another India I guess for many reasons. I think I would rather like to stay on a yacht! Can’t say I’ve ever done that before. It was quite an experience, even though we didn’t leave the harbour.